I find that I don't need to cleanse my face with a heavy hot cloth kind of cleanser in the morning; I'm not taking off a layer of makeup and grime which has built up over the whole day, I'm simply wiping away any oil and sweat (nice!) which has graced my face during the night. 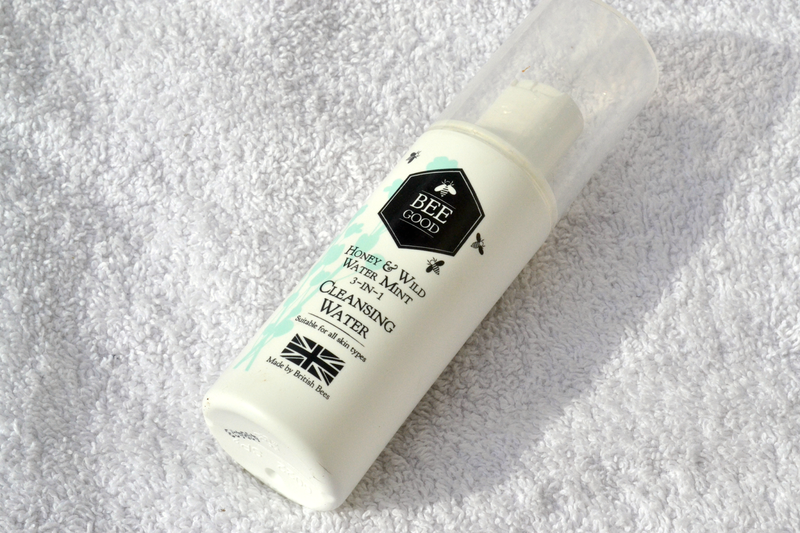 As you'll know I'm a bit obsessed with the Bee Good brand at the moment so it should come as no surprise that my current morning cleanse comes in the form of their cleansing water. With ingredients like honey and mint, I find this so cool and refreshing; perfect for waking my face up in a morning. It leaves my skin feeling clean, ready to moisturise and apply makeup onto... as with most cleansing waters you just simply soak a cotton pad and then sweep across your face, no need to rinse afterwards. I have been using this also as a night cleanse for the past couple of days while I was waiting for a fresh supply of Bee Good Cream Cleanser but I have to admit that for me it wasn't really enough for a night cleanse. Although I think it would be fine if you didn't wear much makeup I do prefer the cream cleanser for my night routine as I tend to wear more makeup and my face can get quite oily. What do you use for your morning cleanse?